By developing their mental and emotional strength and resilience - fundamental to the achievement of cost-effective, sustainable leadership capability overall. 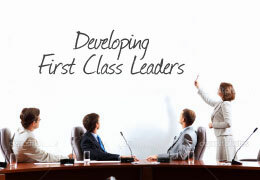 All our leadership development approaches are built around an integral process, which is based on our own successful research with Australian and international leaders. 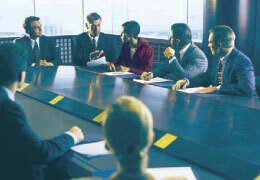 Not only the outer, but also the inner demands of the executive are addressed. The assessment instruments we use are highly sophisticated, globally validated, and enable us to illuminate these challenges for the leader, giving them a head-start on building stronger, more resilient foundations for their leadership capability overall. The work we do with executives at the front end of any development intervention, whether group or individual, is in-depth, making substantive and sustainable change achievable. This means that ultimately, leadership development becomes more cost effective. Our key differential is that we firstly help our clients to build deep psychological insight, which is the only critical front-end capability platform from which authentic, sustainable change can occur. The major benefit of this work, whilst not an overnight quick-fix, is that it serves to ultimately speed up change, and these changes then hold. This also builds resilience, adaptability and focus, which in turn strengthens creative thinking ability and problem resolution. 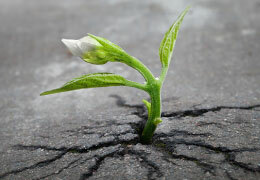 So, how will your leaders navigate today’s challenges whist remaining resilient? 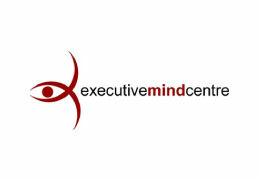 Executive Mandala was set up specifically to help executives strengthen not only those capabilities which already form the mainstay of their success, but also to develop individual and team resilience which enables them to work more effectively within today’s challenging and increasingly complex environment. The same old, same old ways of leading no longer provide leaders with the ability to face these levels of complexity and challenge. Recent research in over 100 companies going through change has highlighted that up to 85% of these change efforts fail in many ways. That means just 15% success rate! So, what is missing, and how do we help leaders to effectively deal with these challenges? In a corporate world where volatility, uncertainty, complexity and ambiguity are the new norm, many leaders are in over their heads at present. At Executive Mandala, we believe for substantive and sustainable change to be possible – especially in this environment where resilience is vital – a shift in consciousness is necessary. We work with you to diagnose and then create the most effective learning and development experiences for your executives. This quiz contains a list of 12 short questions that will reveal how resilient you are as a leader.